The Hilton Worldwide hotel chain is expanding its presence in the Russian capital with the planned renovation of a hotel originally built in the 1890s. 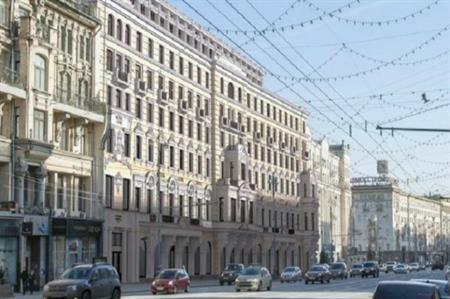 Hilton Moscow Tverskaya Luxe will open in Moscow in the building of the former Soviet hotel Lux-Centralnaya on Tverskaya Street. The 47,000 sqm complex will include 220 guest rooms and 52 apartments. The building will be restored by construction company Mospromstroy and the restoration will also include the interior of the first floor. Patrick Fitzgibbon, senior vice president, development, Europe & Africa, Hilton Worldwide said, "We are excited to be working with Mospromstroy to return a hotel of such historic and architectural significance to the Moscow market under our flagship brand. Our partnership extends back to 2008 when we opened Hilton Moscow Leningradskaya, one of the city's famous 'seven sisters' skyscrapers dating back to the early 1950s. Hilton Moscow Tverskaya Luxe will further cement our leading position within a city that ranks within the top 10 most visited destinations in Europe." The property will be the fifth Hilton hotels in Moscow, with other ones including Hilton Moscow Leningradskaya, Hampton by Hilton Moscow Strogino, Hilton Garden Inn Moscow New Riga and DoubleTree by Hilton Hotel Moscow - Marina in Moscow.